Every week, we bring you one overlooked aspect of the stories that made news in recent days. You noticed the media forgot all about another story's basic facts? Tweet @TheWorldPost or let us know on our Facebook page. The powerful earthquake that has led to a humanitarian crisis in Nepal was one that authorities and citizens had long expected. As the country now tries to recover, criticism over the government's lack of preparation has put the spotlight on a state torn by a legacy of civil war, poverty and political gridlock. Months before the quake, Nepal's government was in the midst of turmoil. In January, there was a brawl in Nepal's parliament over a failure to agree on a new constitution for the country. Just over a month later, 35,000 people marched in Kathmandu to express their dissatisfaction with the way constitution was being produced. This crisis was just the latest in a series of similar disputes since the country's civil war ended in 2006. Nearly 18,000 people died in that conflict, which began after Maoist rebels called the Maobadis launched an insurgency against the ruling government in 1996. After hostilities subsided in 2006, the Maobadis were folded into the government and now serve as a minority party, while the Nepalese monarchy was abolished. One of the important steps after the conflict ended was deciding how the country should be ruled, including the important decision of whether or not the diverse nation should be divided federally along ethnic lines. In order to do that, the government would need a constitution. That has proven difficult. 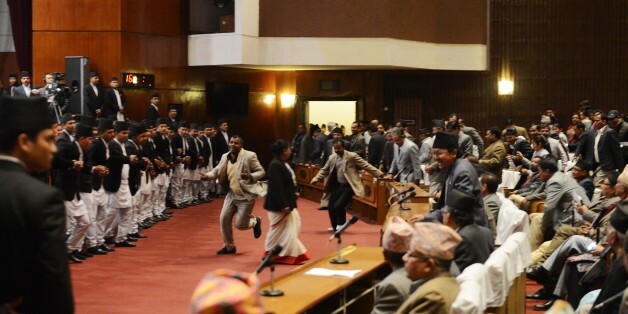 Holding the parliament together and drafting a new constitution have become continuous struggles in Nepal. The government collapsed in 2012 after failure to produce one, and Prime Minister Sushil Koirala of the Nepali Congress party has since missed deadlines to ratify the document since his 2014 election. "They've never really been able to write a new constitution, so you've had a series of unstable governments," Senior Brookings Institute Fellow Charles Ebinger told The WorldPost. In addition to political instability in parliament, Nepal hasn't had local elections in 18 years, reports the New Statesman. As a result, there is a lack of political infrastructure to properly receive and allocate aid, or to respond to catastrophe. Political instability has been coupled with years of economic difficulties, resulting in limited work by Nepal on disaster risk reduction, reports Slate. "Preventing an earthquake from becoming a true national disaster is a very expensive proposition," Jonah Blank, senior political scientist at the RAND Corporation, told The WorldPost. "Rich countries can do this," he said, "however, Nepal is a very poor country with very weak political leadership." Nepal is categorized as a low-income country by the World Bank. It ranks among the poorer countries in the world, with a GDP of just over 19 billion and a population of 27.8 million. Blank noted that in recent years, the country has become more stable than in previous decades and experienced some economic growth. But, he added, Nepal has not moved away from its traditional industries. "It wasn't really diversifying as much as economists would like. Nepal has abundant hydroelectric capability that is very much underutilized; likewise Nepal has not really made the transition to an industrial or post-industrial industry," he said. This meant Nepal had to rely mostly on agriculture and tourism for income sources, in addition to receiving almost 29 percent of its GDP from remittances by citizens abroad. A woman stands in a street covered by debris from collapsed buildings on April 29, 2015, in Bhaktapur, Nepal. Before the quake, Nepal also received hundreds of millions in foreign aid from donor groups, including $200 million from a group of 14 donors chaired by the Asian Development Bank. But as the Economist reported in 2011, donor aid in Nepal is often not used for its intended purposes due to widespread corruption. "Lots of donor money has gone in ... but much of the money gets siphoned off, very little ever goes into serious development projects," Ebinger of Brookings said. "A lot of money has gone in supposedly for big infrastructure, but the infrastructure has never been built. The roads are abominable." While Nepal's lack of infrastructure and slow development progress made it difficult for the nation to plan ahead for an earthquake, some preparations did take place. The government instituted a new building code in 1994 and attempted to implement a disaster readiness plan in 1998, reports Time. However, these efforts were reportedly hampered by a lack of enforcement and resources. Now that disaster has struck, grief has turned to anger at the government, and riot police clashed with demonstrators amid reports of delays in aid and relief. Some have estimated that the reconstruction costs could total $5 billion, and the already fragile Nepalese state faces what may be its biggest challenge yet. 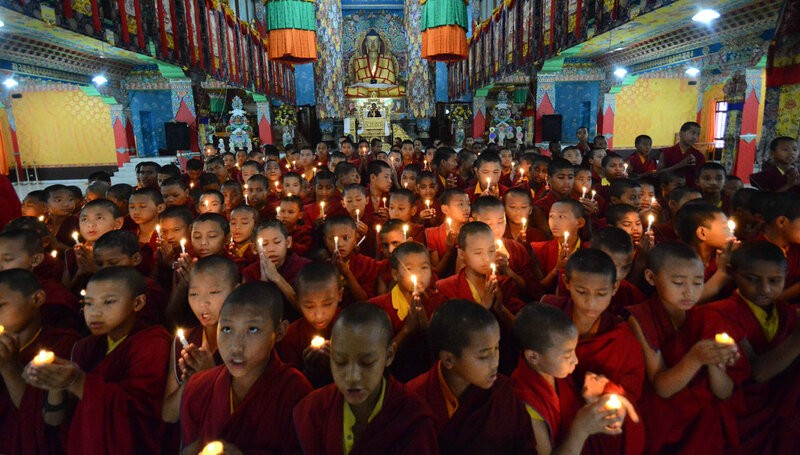 The button below links to Crowdrise's "Nepal Earthquake Relief" page. Click to visit the site and donate.